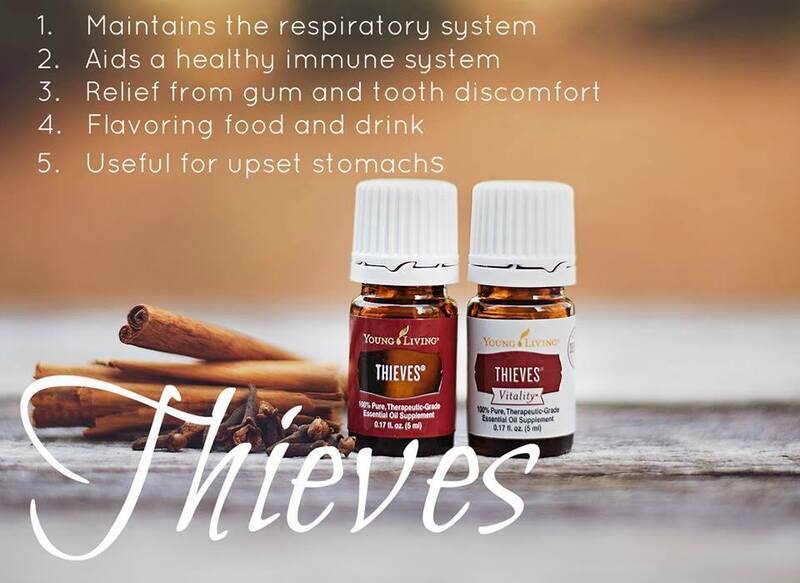 For immune support, add 2 drops of Thieves and 8 drops of carrier oil to a vegetable capsule. 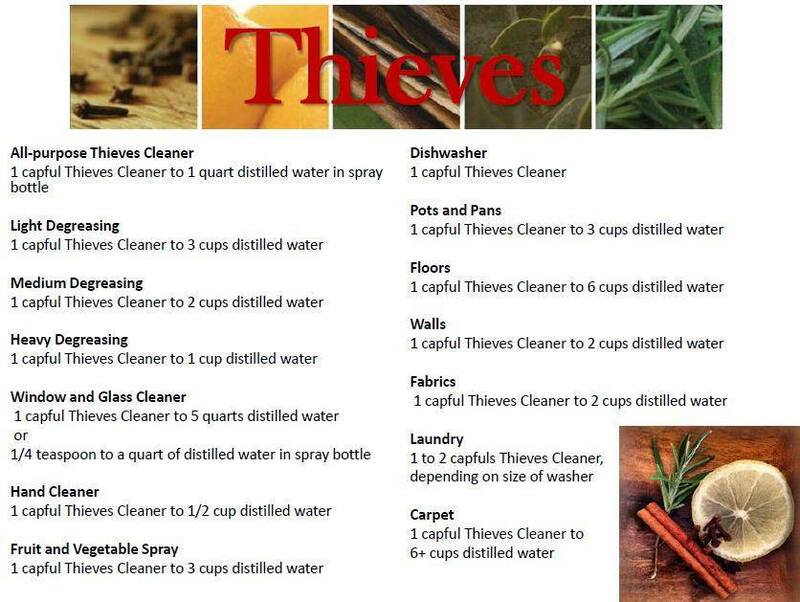 When making homemade cleaners, add 2 drops of Thieves for a home that smells like Christmas. For homemade apple cider, add 1 drop of Thieves and 2 drops of Orange oil to warm apple juice. For tooth and gum maintenance, add 1 drop of Thieves to your toothbrush before brushing.